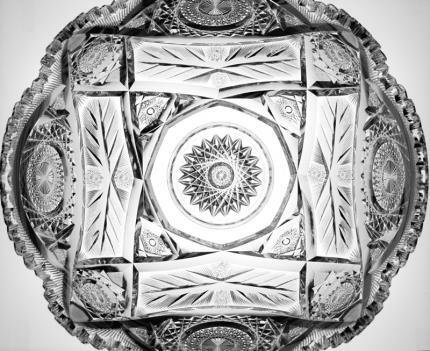 This is one of the most exciting punchbowls I’ve ever had the opportunity to offer. 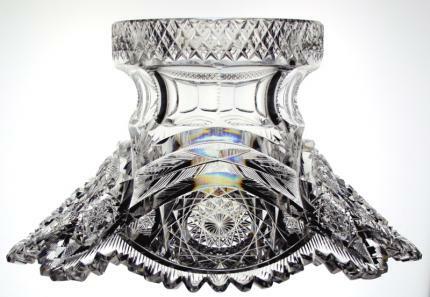 It is in the rare and highly desirable Diana pattern by Libbey (signed). 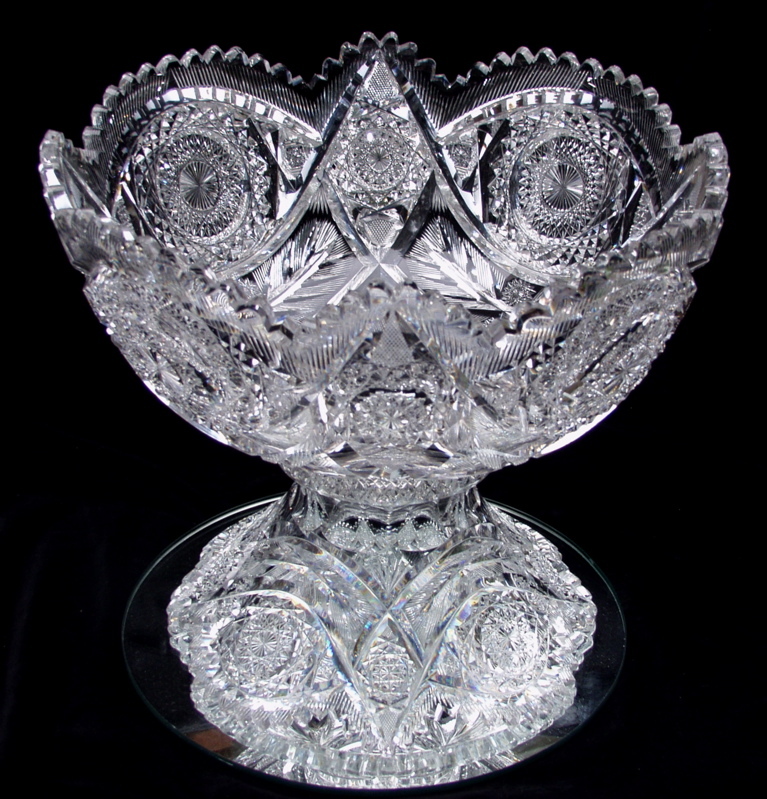 The quality in both cutting, polish and glass clarity is unsurpassed. 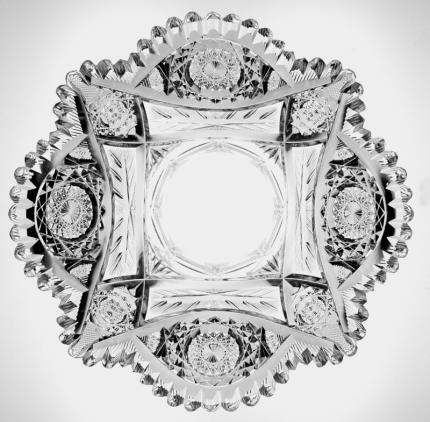 The Diana pattern has a central 20-point hobstar on the plug surrounded by 4 jeweled-center hobstars. 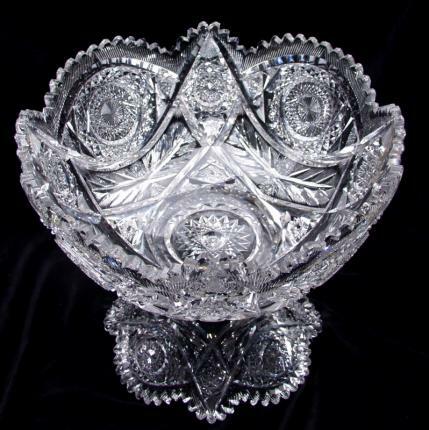 There is a very unusual feathering motif featuring two hobstars on either side of the “feather.” The hobstars on this piece are far superior than most and have insanely complex interiors – check the photos as my words could never do them justice. 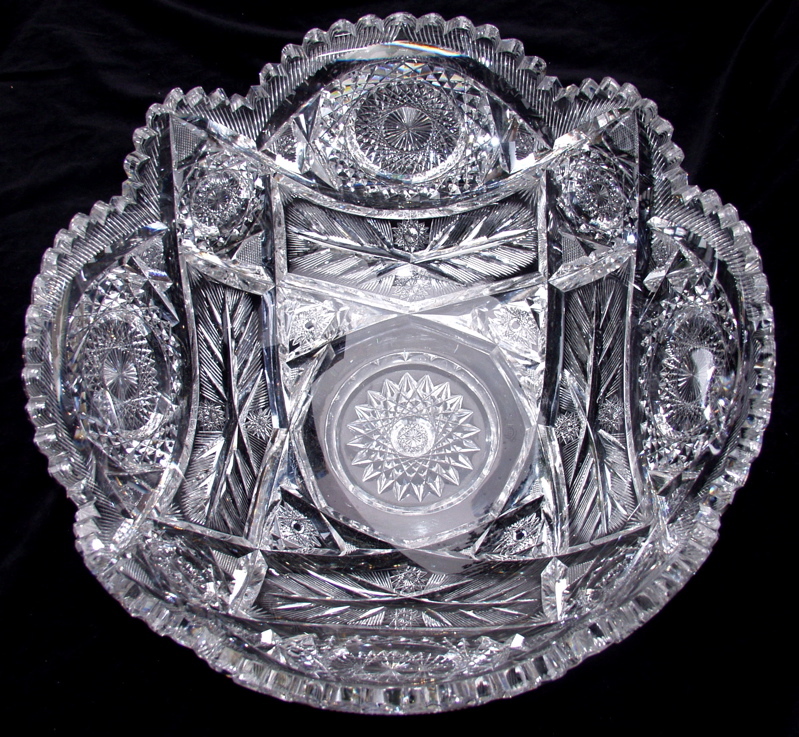 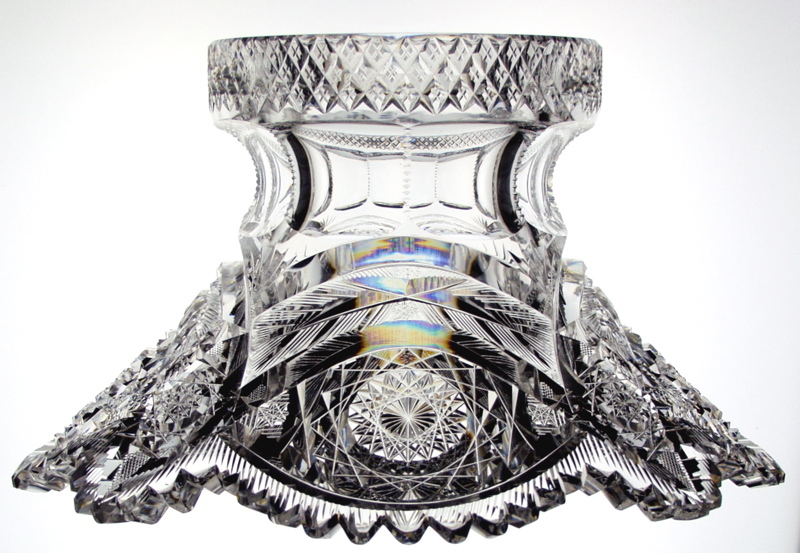 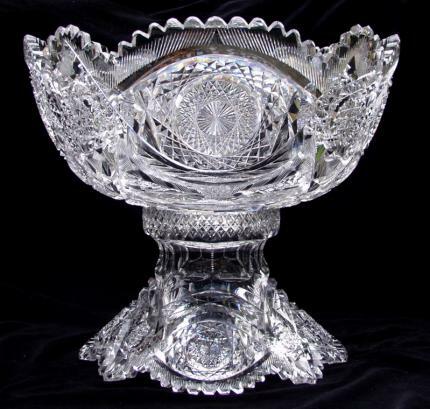 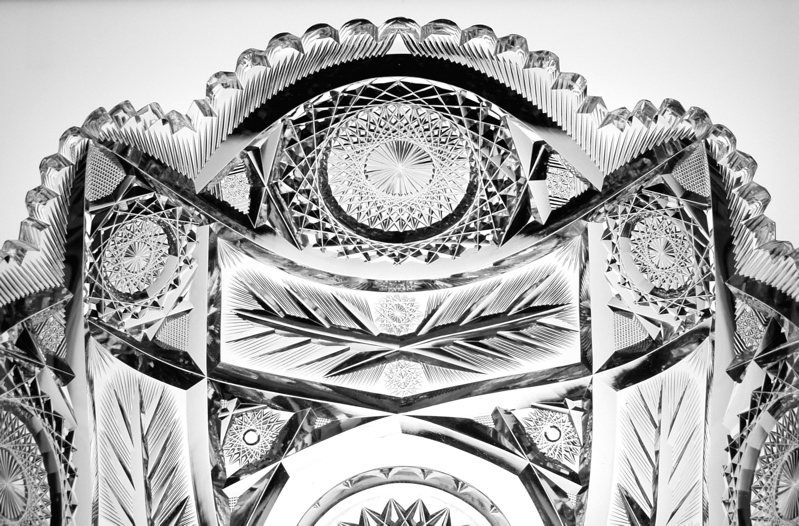 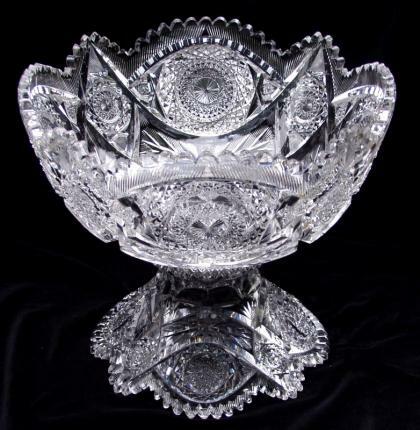 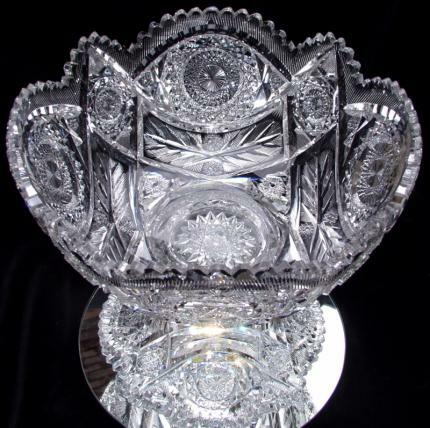 This is one of the best Libbey punchbowls out there and is being offered for a more than reasonable price – in 1999 an ice cream tray in this exact pattern brought $12,500 at auction! 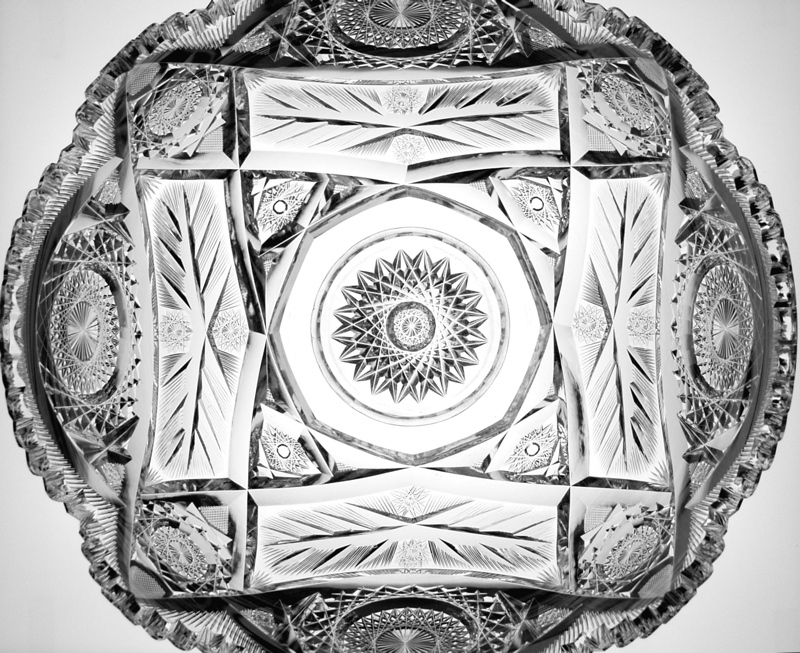 The punchbowl measures a staggering 14″ in diameter and 12 1/4″ tall. 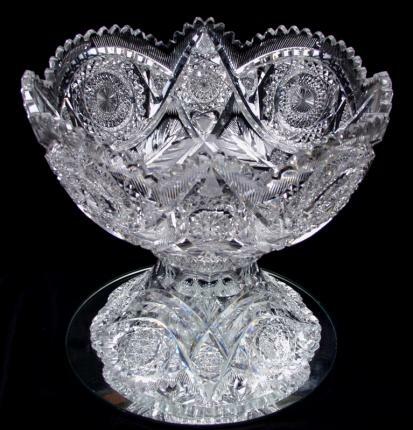 It is in excellent condition with just a couple of fleabites in the cutting and on the rim (extremely small). Again, this punchbowl is one of the best and it refracts light like no other!